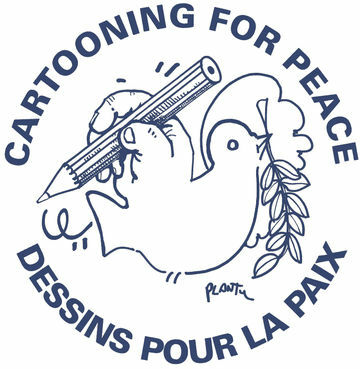 Thought up by the French cartoonist Plantu, Cartooning for Peace is an initiative born on 16 October 2006 at UN headquarters in New York. A two-day conference organised by Kofi Annan, the then Secretary General of the United Nations, brought together the twelve best-known political cartoonists in the world for "unlearning intolerance". An exhibition was staged at the same time as the meeting. A movement was born! thanks Ben. have to keep some sense of humor.